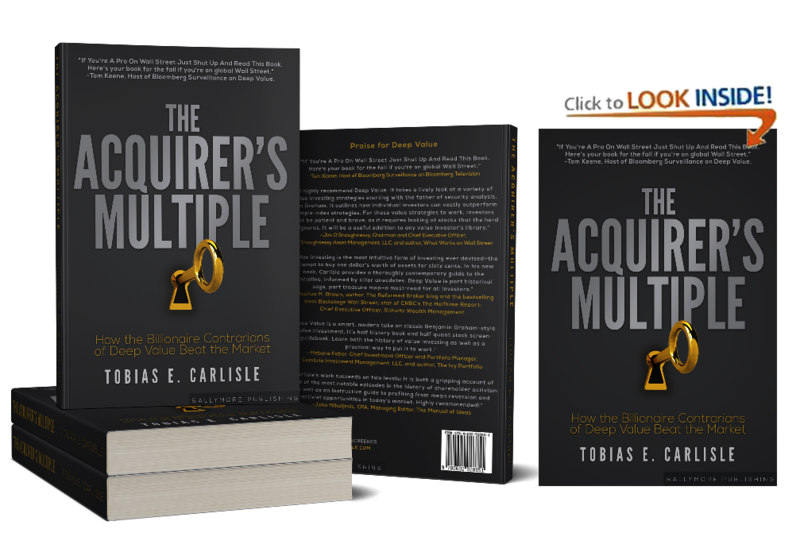 My new book The Acquirer’s Multiple: How the Billionaire Contrarians of Deep Value Beat the Market is out now on Kindle, paperback, and Audible. Buy The Acquirer’s Multiple: How the Billionaire Contrarians of Deep Value Beat the Market is out now on Kindle, paperback, and Audible. Buy The Acquirer’s Multiple: How the Billionaire Contrarians of Deep Value Beat the Market through Amazon on Kindle, paperback, or audiobook. Great book for any investor. Thoroughly enjoyed it.